Online Plagiarism Check - Who is copying your data ? Copyscape is on of the best online tool to find if someone is copying content from your site and re-publishing it without your permission or credit to you. Today with no control over who publishes what on the Internet , plagiarism is common. Very few site owners actually deliver original content resulting to increased organic searches and site ranking. So what inspired me to write this article ? While looking for sites who are linking to my site, found a new link from itportal.in. The site owner copied an article from my site without permission. If you want to find out such sites , just copy and paste the URL on Copyscape.com and it will quickly search for copies of your page on the web. Copyscape also provides free banners to protect against content copying or plagiarism. But ensure to use the banner on your site only if the content is original. In order to respond against plagiarism one can send an email to the offending site owner with a request to remove the content. If the owners details are missing on the offending site, use whois to look up the site details. One may also file a complaint of Digital Millenium Copyright Act (DMCA) infringement with Google and other such search engines. Lastly analyze the type of plagiarism before you take an action against the offending site. 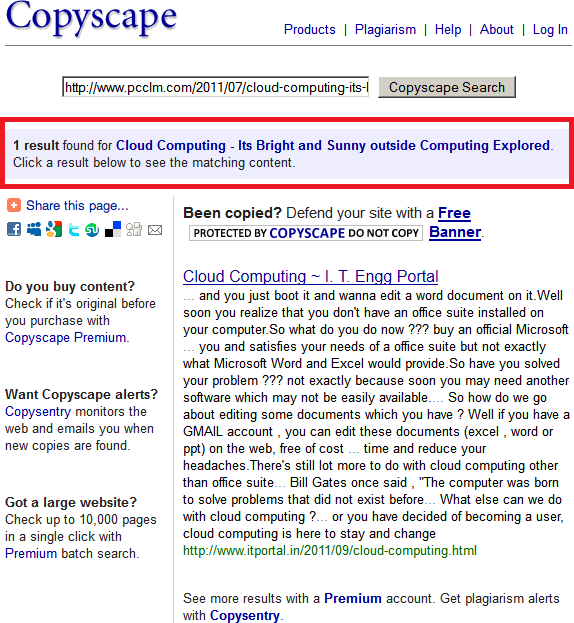 The above image was captured from http://plagiarism.org.For individual content owners, Copyscape and duplichecker are likely the best tools, however for businesses, online services such as iCopyright Discovery and Attributor are more reliable solutions. We offer completely free Plagiarism Checker tool which helps individual blog owners and webmasters to look for any duplicate content online. Our tool uses Google and complex algorithm to search for duplication on the internet and display with user friendly results. It will provide you with 100% accurate results that no-one else can offer. 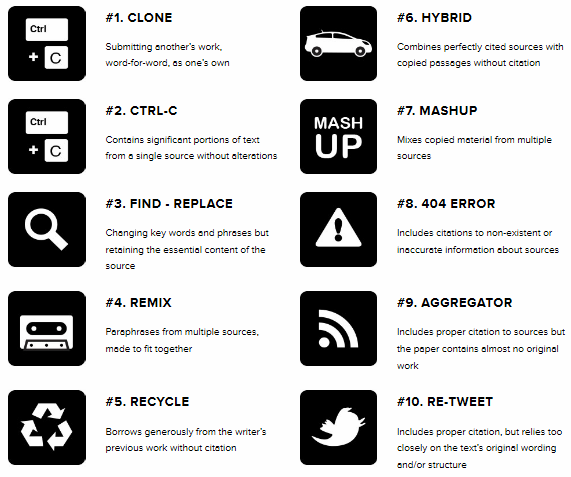 A Plagiarism Checker like ours is one of the most important SEO Tools there is. A good Plagiarism Checker lets you protect your content. It allows you to ensure that the article you have written is not too similar to something someone else published too. As such it helps to protect your own writings from people who may plagiarise your work. The Plagiarism Checker online will help you to make good content free.